Use the box on the left to login in your account. Free Accommodations ? Free Meals ? Other Bonuses ? Transport included ? Medical Insurance included ? 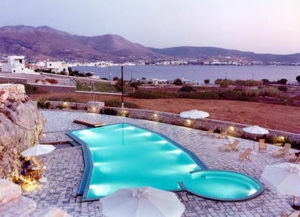 Paros Island 5 stars hotel is offering 4 positions in the main restaurant. We need 2 girls and 2 boys to work as waiters/waitresses. Should have Excellent Communicational Skills in English and a second language. Applicant should have previous experience in serving, and be polite, smiley, use kind terminology as the restaurant is gourmet. Moreover, should remember the menu, being quick. Tips By the clients and Overhours paid. You have to login first before to apply for this job. If you do not have an account yet, go the register page. Thank you! Copyright © 2005 - 2019 Work Experience. All rights reserved.